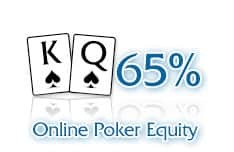 While Texas Hold ‘Em might be the most popular poker game that you will find on the internet, Pot Limit Omaha (PLO) comes in second with variations particularly popular in the US and Europe. With the different games you have different rules that change the way the game is played and alter the strategies that will help a player to win. 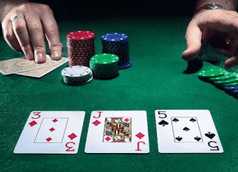 If you are looking for an interesting alternative to Hold ‘Em then, consider Pot Limit Omaha. 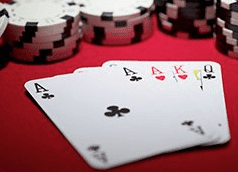 Following you will find a helpful guide to get you acquainted with Pot Limit Omaha Poker. 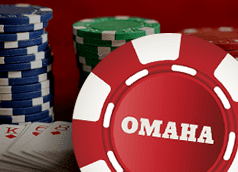 Omaha is more than just gambling, there are strategies involved. Pot Limit Omaha Poker can offer a nice change of pace for players that are getting a little burned out on playing Texas Hold 'Em. There are some similarities between the two styles of poker play, but there are also some changes that help to alter the dynamic of the game. If you are thinking about giving Pot Limit Omaha poker a try, then you might want to consider the types of players that you will encounter and the rules of the game. There is a bit of a learning curve when it comes to PLO, but it is popular among those who want a change of pace from Hold ‘Em. While there is an element of having to bluff and read players, the ability to play and win at Hold ‘Em is much more dependent on these abilities. 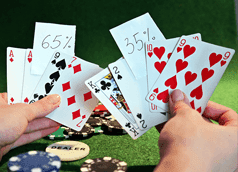 The differences in play in Omaha make it a more analytical game, and this can help it to appeal to those who like to work out the probabilities as they play. 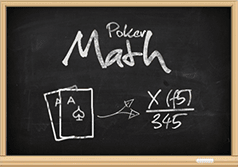 Additionally, the way that the betting is structured can make for some very high pots. Beyond that, every hand has a lot of potential outcomes and this can make the game interesting as you try to figure out which hands you might have. The wide-open possibilities that come with Omaha poker are part of what makes it difficult to work on a strategy of bluffing and reading the other players. Like Texas Hold ‘Em, Omaha poker is what you would call a community poker game. This means that there are cards on the table that are shared by all of the players. Additionally, players will also have their own cards that they need to combine with the community cards to make the best hand possible. You’ll use four hole cards to make a hand. Sometimes the math can get confusing, especially when odd numbers are used, but you need to announce "pot" to place the maximum bet and avoid being accused of string betting. First place your call bet and then you can total up all bets in the pot. You can also always ask the dealer what the max bet is. When it comes to betting, players often bet more in pot-limit that no-limit Omaha or even Texas Hold 'em. The reason for this is because of the bet strength. If the pot is $500, and you’re the first to act and want to go all in for $1000, you can't with a $500 limit on betting. If you check raise a player with $500, you can move in. Another important difference in betting structure is that it is not possible to protect strong holdings early in the game. Now for the game play. As mentioned above, there are some similarities between Texas Hold ‘Em and Omaha poker. Both are community card games where the players share cards and in both games, players are dealt cards that are exclusively their own. The biggest difference that players new to Omaha will notice is that players are dealt four cards each; instead of two. After each player gets his or her cards, then there is a round of betting. After this first round of betting, the dealer reveals a 3-card flop. After the flop, players bet again and then move on to the turn card. Following the turn, you then have more betting followed by the river. It’s impossible to have a low hand if there is anything higher than three 8’s on the board. With the four cards each player is dealt, he or she must use two of them to make the best hand possible with three of the community cards. The use of two cards from the hand is a requirement. You can’t play the board with just one of your cards and you cannot play your entire hand. As mentioned, with Omaha Pot Limit Poker you have two popular variations. You have the Hi/Lo and the Omaha High. With Omaha High, every player is basically competing to see who can make the highest hand from his or her four card deal. With the Omaha Hi/Lo version, the pot is split between the highest and the lowest qualifying hands. With the Omaha Hi/Lo poker, each player makes a high and a low hand using the cards that they have. This means that there can be two different winners that split the pot or one winner that gets both the best high hand and the best low hand. For the low hand to qualify, the high card can be no greater than eight. This is why some people may refer to Omaha Hi/Lo as Omaha 8 or better. The mechanics and strategy of a game of Omaha Hi/Lo can be a little confusing at first and it does take some playing time to get used to. However, once players get the hang of it, they tend to like the wide range of possibilities that can come with this format and the high stakes can make it very exciting. With the way that Omaha poker is structured, a player will have a lot of possibilities when they first get their hand, and those possibilities can change dramatically depending on the community cards that come into play. To get a better idea of the mechanics of the game, let’s take a look at some examples of how games can unfold. To start the example, we will say that we have a table with three players at it. In this example, we will label the players Player A, Player B and Player C. In the community cards, you have a 2S, 5C, 7D, 8C, and 10H. In a game of standard Omaha High, Player A’s best possible hand is a Jack High straight with JackS, 10H, 9C, 8C, 7D. Player B’s best hand is three tens with 10H, 10S, 10C, 8C, 7D. And Player C’s best hand is a pair of fives with 5H, 5C, AceS, 10H, 8C. This makes Player A the winner with the Jack High straight. However, if you had these same cards in a game of Omaha Hi/Lo, you would also have to consider the best low hands. Player A would still win half the pot with the best high hand, but there would also be half the pot going to whoever has the best low hand. In this situation, Player A would not have a qualifying hand to compete for the best low hand. That is because Player A does not have two cards that are lower than 8 to make a low hand with. You have to have the two qualifying cards to even be eligible for the best low hand end of the game. That narrows it down to being between Player B and Player C for the best low hand. In this situation, Player B’s best low hand is 7D, 5C, 3H, 2S, AceH. Player C’s best low hand in this situation would be 7D, 5C, 4S, 2S, AceH. With these hands, it means that Player B is the winner of the low hand because his is the lowest possible hand. Omaha offers a wide range of possibilities. With Omaha Hi/Lo, it is also possible for there to be no low hands available. If the community cards do not contain at least three cards that are of a value of eight or lower, then it is not possible for any person to make a low hand. 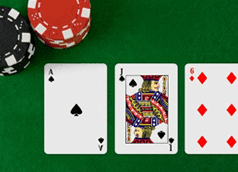 In these situations, the player with the high gets to scoop the entire pot. It is also common with Omaha Hi/Lo for there to be ties on the low hand. When this occurs, each of the two players with the tie gets a quarter of the total pot. With the high and low hand competition and the various possibilities that can occur, it can give Omaha Hi/Lo an interesting angle and it requires the player to make multiple reads as the game progresses. With experience comes learning the best ways to start a hand. In this section, we are going to take a look at the preflop play in a game of Pot Limit Omaha Poker. 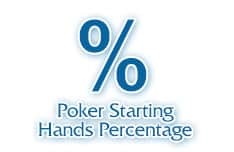 With Omaha Poker, you start out with a much wider range of possibilities with your starting hand and there is a wider range of potential starting hands that could be dealt. This guide to preflop play should help beginners as they start out with a game of Omaha poker. 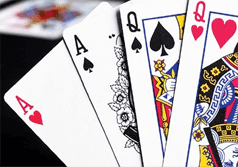 With Omaha Poker, the four cards dealt will provide you with a much greater range of possibilities when it comes to making a hand off the flop. 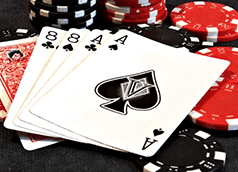 Additionally, many of the hands that would give the player a strong opening edge in Hold 'Em would not provide as much of an edge in a game of Omaha. When you get your starting hand, there are certain factors that you want to consider. Having pairs straight out of the deal is obviously good. Having cards that work together in succession can help you to build a hand. You also want to consider whether the cards work together in suit. These points are important for when you are developing your preflop strategy and betting. At this point, you also want to keep in mind that you can only use two of the cards from your hand. It can be helpful if all four cards work together, but you can only select two to make your hand in the end. Despite having good hole cards, your chances of winning with them in Omaha are greatly reduced. 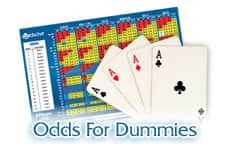 With thousands of potential hands that can be dealt in the beginning of a game of Omaha, you will not find a chart that ranks all of the possible starting hands. Since the game can change dramatically in the post flop, it makes it difficult to make a clearly defined hierarchy of the starting hands. The equity of the different starting hands is much closer in a game of Omaha than it is in a game of Texas Hold 'Em. This causes many that are moving from Hold 'Em to Omaha to make strategic and betting mistakes based on their experience with the other game. As an example, getting a pair of aces in the opening of a game of Hold 'Em is an almost certain win. You have about an 85% chance of winning the hand. However, when you get two aces dealt in your opening four cards of Omaha, the chances of an expected win drop to about 65%. This is in large part due to the increased possibilities that come with the four card deal. Even if you have a pair of aces, there is a greater chance that one of the other players will be able to put together a hand that beats it. Additionally, there are some flops in Omaha that could turn your pair of aces into a real dog. With the many ways in which the flop can alter the outcome of the game, you need to keep it in mind when you are considering the playability of your preflop hand. This is especially true when you think about the difference between a multi-way pot and a heads-up pot. Even with a hand that would seem strong in a game of Texas Hold 'Em, you might want to consider your possibilities further in a game of Omaha Poker. If the pot goes multi-way, then it is much more important that you have the nut. With all of the possibilities that can exist in the game, there is a good chance that you could get burned on what seems like a good hand. This can cause many to bet aggressively only to have things come apart in the flop. If it is a heads-up pot, some of these hands might be a little stronger. With only one opponent left in the hand, it is much less likely that they have the nut and you could even win on a lower flush whereas, in multi-way, these lower flushes stand a much-reduced chance of winning. What Hands Should You Raise With? Calculate your hand. In Omaha, more players will tend to limp into a flop so it’s good to understand your chances early on. One of the tricks with Pot Limit Omaha is knowing how to bet in the preflop. 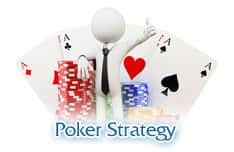 You do not want to strictly go with a strategy of limping into the flop and you do not want to try exclusively raising when you have a strong pair. The idea is to develop a strategy where you raise in certain situations and try to limp in for others. You'll find that many people recommend always trying to limp into the flop in Omaha. While you probably are going to try to do this more than you would in Hold 'Em, so are the other players at the table. If you know that you have a hand that can make some good post flop combinations, then you want to force the other players to pay to see the flop. Double-suited hands are good for preflop raising. Hands with a pair will also provide a good opportunity to raise. If you have more than two Broadway cards, this can also make for a good preflop raising opportunity. Additionally, you want to consider how well the four cards complement each other. If they play well even beyond the obvious best possibilities, then this can be an opportunity to force some players out of the hand. Beyond considering how to bet, whether to raise or if you want to try to limp in, you have to consider the chances that different hands have and how they may compare to your opponent. This can help to tell you whether it is worth buying into the flop, if there is more potential for your hand or if you should just fold. Consider the possibility of rundowns. If you have a low rundown like 4, 5, 6, 7, that may seem like a pretty strong opening hand and it might be worth trying to force some players out with a raise. However, in Omaha Poker, there is a greater possibility that the opponent will be able to make a better hand on the flop. Talking about what you are going to do when you have rundowns and premium hands is all fine and good, but you have to consider what you are going to do when you get something that is a little more common. Consider when you have something like Q, Q, J, 9. You have a range of possibilities because you could potentially make a hand with the two Queens, but you also have a good chance a pulling off the straight. In Omaha Poker, it is possible to start out with hands that are really strong, but the variety of options that your opponent may have will make it difficult to pin down the exact prospects of winning. In this style of poker, it is much more important to worry about the potential of what is in your hand and the chances of it turning up big. If you are just starting out with Pot Limit Omaha Poker, one of the most important things to do is to stick with just playing the strong hands. Limit your play to the hands that are on the top 30 list and maybe a few of the better four-way connecting hands. When you play only the hands with the best advantage, it is easy to see where you stand when the flop comes and you will be less likely to waste a lot of money playing the losers. Playing the weaker hands can be tricky and this is especially true when you are looking at a multi-way table. For an inexperienced player, taking a shot on a weak hand is almost certain to cost them some of their money. However, once you get some experience and get better at reading the table, it might become worthwhile to play some of the weaker hands. There’s no need to limp in with a big chip stack. If you have learned the preflop game, then you are making some progress, but playing the flop is where it really comes together. All of the strategizing and analysis that goes into playing the preflop can fall apart if you do not know how to handle the different situations that can arise after the flop. While having a good starting hand is essential to winning at Omaha Poker, your strategy on the flop is what is going to determine whether you have a good chance of winning the hand or not. At this point in the game, there will be players falling out because of their read and you will likely have players that are heavily committed due to their betting up to this point. As with Texas Hold 'Em, the flop is the first time in the game where there is a chance for you to make a full five card hand and this is where you will learn the most about your continuing prospects in a given hand. Your fortunes may change from street to street in a game of Omaha Poker, but there is no place where the strength of your hand changes so much as it does with the flop. If you are familiar with Texas Hold 'Em, then this is another place where you are going to notice a major difference between the two games. In a game of Hold 'Em, the flop will reveal one potential five card hand that you could have, but with Omaha, it reveals a total of six hands that you could use. With the four hole cards instead of two, your possibilities are much wider. 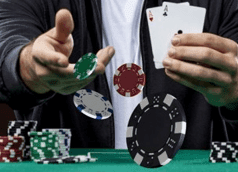 You will need to consider each of these six hands that are revealed during the flop and the additional possibilities that can come as you progress in the game. As with Texas Hold 'Em, the texture of the flop is going to be an important part of the read. The texture refers to how well the community cards play together. If you have a dry flop, that means that the cards do not coordinate well and if you have a wet flop, it means that they do play well together. The difference here can be important for planning your strategy at this stage in the game. Success in a game of Omaha Pot Limit Poker requires the ability to make the correct reads on the flop, so it is important to understand the texture of the community cards. As an example, let's say you have a pair of Aces and two random cards. This is a pretty solid starting hand, but the flop can either wreck it or pull it together. If you get a flop that is 9, 10, J, you are in a pretty bad situation. There is a strong probability that one of your opponents has already made a straight. If they haven't, there is a good chance that they can later in the game. If it is just you and one other player, then it might be worth	continuing, but if the pot is multiway, then you are probably just better off folding on your pair of Aces. As another example, consider the same starting hand with a flop that reads 2, 8, K. With this flop, none of the other players can make straight and the only real concern is the possibility that someone is holding two kings to make three of a kind. However, if one of your opponents has three kings, then it is likely that they would have bet aggressively in the preflop game. This is something that you will need to consider. Generally, you are going to find that the flops are textured somewhere in between these two extremes. The point is to show how the flop can alter your potential for a win in comparison with the prospects of your opponents. Additionally, it shows how the betting behavior of your opponents during the preflop can indicate what they might have at this stage in the game. Consider the potential outcomes after the flop. You need to understand when to play aggressively and when to play conservatively off the flop. In a game of Omaha Pot Limit Poker, the best possibility is what you always want to play toward. However, it does not always work out that you have a clear winning hand. In these situations, you need to know when to play aggressively off the flop and when to play conservative or fold. The ability to make these reads will be critical for winning at Omaha Poker. Consider when the flop is a rundown. If you have a simple open-ender, then your possibilities are good, but if the flop gives you a wrap, then you can consider upping the aggression. When there is a rundown, it is likely that you and at least one player will have the possibility to make a straight. If you know that you have the cards to make the nut straight, then there is a good chance for you make some serious money. Another point to consider is sets. While a set can still be a good hand in a game of Omaha Poker, it can also be a risky play. With Omaha Poker set vs. set scenarios are common and you can lose a lot of money playing aggressively with a weak set. That said, it is still a pretty solid hand and if you have other possibilities that you can play, it makes it an even better bet. The point is that you have to know when to play the flop hard and when to back off. If you have a weak made hand, then you need the rest of your hand to be strong. If the draw is kind of weak, then you only want to play if you have a strong main hand. If both are weak or somewhere in the middle, it might be time to fold. These will be tricky reads to make at first, but the more you play, the better you will get. For new players, it is common for them to read these situations wrong and make a bad play. Getting some experience in the flop is a big part of getting good at Omaha Pot Limit Poker. When it comes to playing a game of Omaha Poker in the flop and beyond, there are some general rules that beginners can follow to help them as they learn their reads and get more comfortable playing in the later stages of the game. First, you want to make sure that you have either the nut hand or a hand that gives you a good possibility to the nut after the flop. If you do not have this, then you should fold. If you do have the nut or a good chance of getting it, then you want to call or raise according to the strength of your hand. As you might do in the preflop game, you only want to raise or bet for value. Trying to chase players out can be costly because many will chase their hands into the next round. The only time you really want to swell the pot is if you know you have the nut or a strong chance at drawing the nut later. You also need to look at how other players bet after the flop. Players that call are less likely to be a concern. With callers, you are usually looking at people that are working off a weak draw and just hoping to stay in the game. The players that you need to pay attention to are the opening bettor and any player that raises. The turn play usually works under principles that are similar to the flop. If you get a draw toward the nut, then you should bet or raise. If it missed, then you want to consider whether the turn changed the potential for your draw to be to the nut or not. If your draw is still to the nut, then betting and raising is still a good strategy. If not, then you need to reassess your prospects. You have to play the flop and beyond parts of the game carefully. A lot of players will call on the preflop to try to get a chance to see the cards, but if you don't draw well on the flop, then you need to cut your losses and fold. This point is especially true when you have a pot that goes multi-way. When it comes to playing in the flop and beyond, the general rule of thumb is that the more players you have making it to the flop, the better your hand needs to be. If you have a lot of players still in the flop, you either want to have the nut or a good chance of drawing the nut. With the many possibilities that can come with a hand of Omaha and a lot of players still in the pot, there is a good chance that it will take the nut hand to win. Don’t worry about mistakes you make when you start. The lesson here is to learn from your mistakes. Players that are new to Pot Limit Omaha are bound to make a few mistakes. The key is to use the experience to your advantage and learn from the mistakes that you make. Additionally, you'll probably see some opponents make some mistakes and you can learn from these too. One common mistake for new players is the overvaluing of pairs. 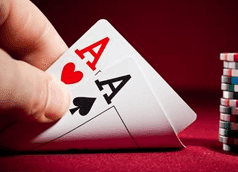 A pair of Aces is a strong hand, but when you have a draw-heavy flop, they turn into a weak hand. Many players will keep betting on this pair, even when the flop goes against them. Some players will even play hard on a weak pair, thinking that it holds up as well as it does in a game of Hold 'Em. 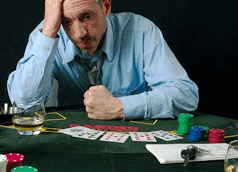 Players often make betting mistakes when they are new to Omaha Poker. With so many possibilities, it is difficult to read hands in a game of Omaha, but what many players do is indicate their relative strength by establishing betting patterns. If you know what to look for in a player's preflop betting and then compare it to their behavior after the flop, you can often get a good idea of what they have based on the difference between the two. Pay attention to the Math, it helps. With the above sections of this guide, you should already have the basics of Pot Limit Omaha Poker down. Maybe you have even played a few hands to start getting a little more familiar with the game. The following includes some points to remember as you play and try to advance your skills in this type of poker play. It will take some time to master the game of Omaha Poker, but with careful play and some practice, you can become a winner. Always play within your bankroll. In many ways, Omaha is a game where you play the long-term probabilities. If the action is too rich for your roll, you could end up getting wiped out before your skill and strategy have a chance to take effect. Play it tight and look for the nuts. When you are first learning, you only want to play when you have a clear play to the nut. As you get better with your reads, you might be able to open up your game a bit more, but as an inexperienced player, you are only going to open yourself up to unnecessary risk. Always do the math. Poker is a game of the odds and if you always play the odds right, you can make money in the long run. Too many players get caught up chasing the long shot and it is a sure way to make for a big loss. Keep your cool. With Omaha, you can have some serious swings in fortune. That is why it is a game of long-term strategy. If you can't keep your emotions in check through highs and lows, it is going to cloud your decision making. Don't fall in love with Aces. A pair of Aces will look great as a starting hand, but they can be very difficult to play. Omaha is much more wide open than Hold 'Em and getting hung up on a pair of Aces can lose you a lot of money. You have to know when to play your Aces hard and when it is better to just fold them. A player's understanding of winning play is going to be the difference between those who make money in this game and those who do not. Some of the most important points are learning how to read your starting hand, how to bet in the preflop game and how to make the reads after the flop. If you can master these points, then you are well on your way to being a solid Pot Limit Omaha Poker player. In the beginning, you will probably be more concerned with the chances of your own hand and making the most of what you have. As you advance, you will get better at reading the behavior of the other players and gauging the strength of what they are holding based on these observations. When you get to this point, you will be able to open your game up even more. With the difference in rules comes a difference in play style, the game will run differently so adjust your play accordingly. 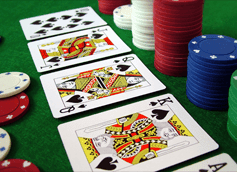 At a glance, Pot Limit Omaha and Texas Hold 'Em are very similar. While there are some ways in which these games are the same, there are also some big differences that really change the way a player should approach these games. The first obvious difference is the number of cards that are dealt. Instead of the two card Hold 'Em hands, Omaha deals each player four cards. This means that there are more possibilities in the beginning and it reduces the amount of advantage that the player with the best hand has at the beginning. The second major difference is the way that a hand is made. 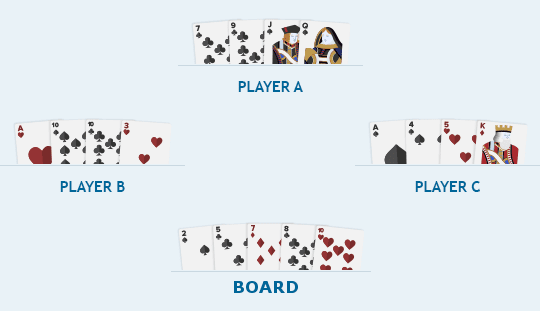 In Hold 'Em, you can use your cards or the board in almost any way to make a hand. With Omaha, you have to use two cards from your hand and three cards from the board. With Omaha, you generally have more players making the flop than you would expect in a game of Hold 'Em. Since there are more opportunities to make hands, players are more likely to try to play into the flop. Additionally, the differences in the game reduce the importance of bluffing and increase the importance of playing the odds. Winning at Pot Limit Omaha is all about having a winning strategy. At first, you are going to want to work off the more simple beginner's strategies, but as you advance, you will be able to develop more complex strategies that will allow you to take strategic chances and win more games. Beyond the basics, you are going to have to learn more specific strategies for when the board is a rundown or when the board pairs. You will have to learn how to manage your play through the downswings and how to read the play of your opponents. In addition to this, you'll have to learn how to read your hands deeper than the best possible hand that you could make. The best players in Omaha Poker not only make the read for their best hand, but they know how to find the backup plan to understand their odds as the game advances. Play more than two cards. One mistake that many players make when they go from Hold Em' to Omaha is still viewing it as a two card hand. Having a strong two card hand is good, but you are at a serious disadvantage against a player that has a decent two card hand and a way to play the remaining two. The four card deal provides more opportunities for you and the other players at the table. Be careful with non-nut hands. The most costly mistake that players make is putting too much money into pots where they have no chance at the nut. This often happens with people that have pairs or the chance at a low straight. If you don't have a chance at the nut, there is a strong possibility that someone else does. You need to be careful about how you play when you are working off non-nut hands. Vary your raising strategy. You don't want to limit yourself to raising when you have certain really strong hands. In the long run, this behavior will tip your hand. Look for additional opportunities to raise when your odds of drawing what you need are strong. Read the board. To win at Omaha Poker, you have to be able to read the board and know what the nuts are. Seeing what is on the board and understanding what it means for your hand will make a big difference. Know when to bluff. As mentioned above, the mechanics of Omaha Poker limit the importance of bluffing, but there can be some opportunities. However, the increase in potential card combinations does make bluffing harder and if you do it in the wrong spot, you might find yourself throwing money away. If you have been playing Omaha Pot Limit Poker and feel like you have mastered all of the basics, then you might want to search for some more advanced tips. For players that want to keep building their Omaha Pot Limit Poker skills, there are several books that offer advanced strategy and playing guides. For one of the most in-depth and highly recommended books, players could check out Pot Limit Omaha Poker by Jeff Hwang.